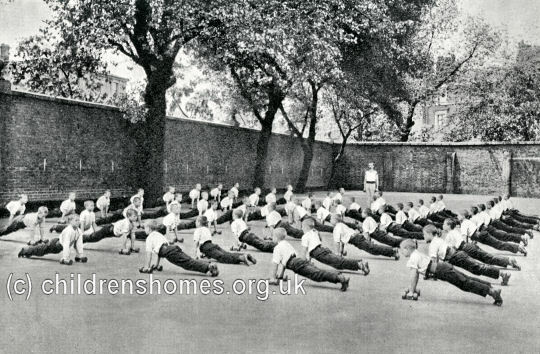 In 1891, the London School Board opened a Truant Industrial School at Highbury, north London. 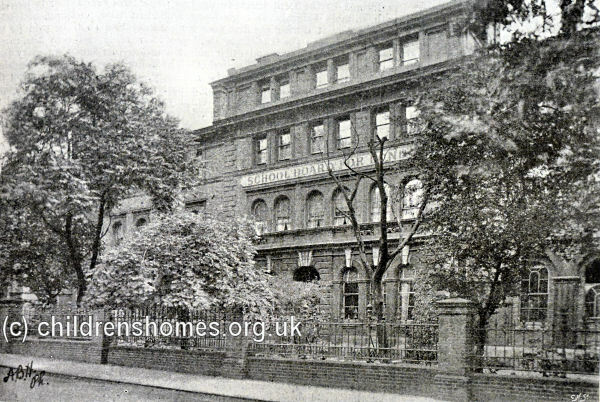 It was the second Truant School to be established by the Board, the other having being opened at Homerton in 1878. The Board had previously planned for the new establishment to be in purpose-built accommodation at Anerley, but when the former Church Missionary Society school at Highbury Grove became available, it was decided to take over that instead. Substantial additions and alterations were made, and on March 12th, 1891, the School was certified to accommodate up to 175 boys. 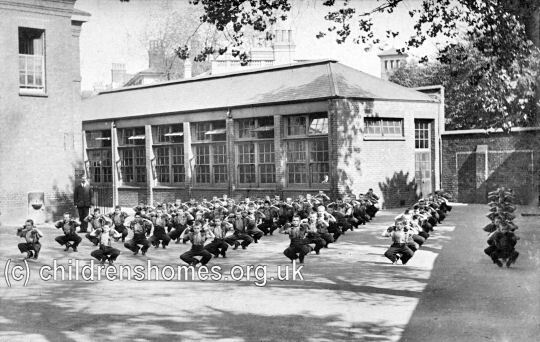 It opened its doors on April 21st under the superintendence of Mr George Thomas Peall and his wife Mary Ann, previously in charge of the Field lane Industrial School for Boys, West Hampstead. 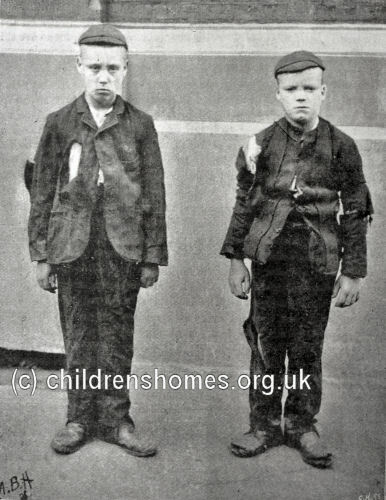 The School received boys who, having persistently failed to attend ordinary school, were committed to detention for up to three years or until they reached the age of fourteen, whichever was the shorter period. In most cases, after three months at the School, boys were released on license on condition that they attended school regularly. Failure to do so would result in a return to the Truant School, this time for a slightly longer period. The parents of a boy at the School contributed two shillings a week towards his maintenance. 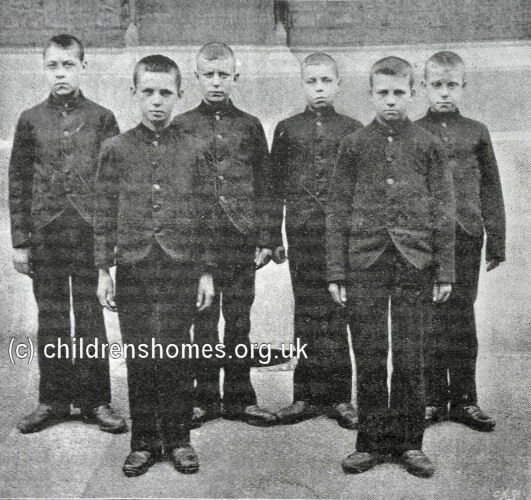 Boys at the School wore a blue uniform. The boys spent half their day in classroom lessons and the other in industrial training. The training included tailoring, shoe-making and carpentry, and the boys made most of the school clothing. 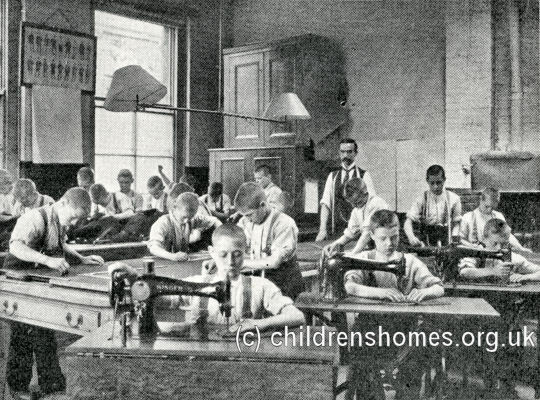 The younger boys were taught sewing and knitting. The boys were occupied tailoring, shoemaking and wood-chopping. They also contributed to the household work. During the hour between rising in the morning and breakfast, they were all employed in sweeping, scrubbing, window cleaning and bed making. Later in the day, small groups were engaged in laundry work, preparing the dinner, making bread or darning socks. They also had about 1½ hours drill every day, in three half-hour sessions. Silence was enforced at all times. 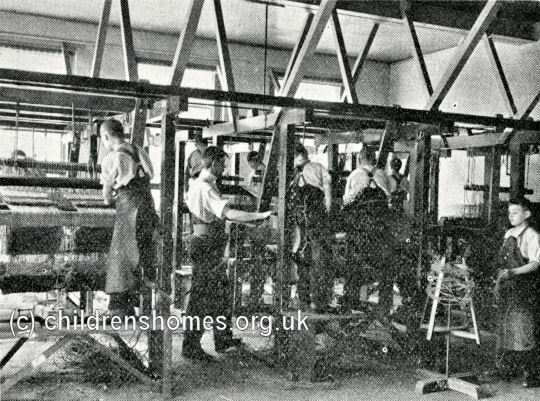 In 1895, a mat-making shop was established in the School which supplied mats to the London Board schools. At around the same date a bakehouse was set up where the boys could learning baking and also produce the School's daily bread. About an hour and a half each day was allocated to physical drill, with dumb-bells used in some exercises. Play was allowed for 40 minutes each day, with an extra hour on Saturdays. The School had two play-yards and soft balls were provided each day. Provision was made for swimming and in 1909, the boys won their local championship. In the same year, a band master and seamanship instructor were appointed to the staff. The School had library of more than 100 books and a small museum. Occasional magic lantern entertainments were given in the winter, and a good feast was served on Christmas Day. Friends were allowed to visit once a month. On May 1st, 1904, control of the School passed to the London County Council who took over the work of the London School Board on that date. On April 1st, 1909, the School ceased dealing with truancy cases and became an ordinary long-detention Industrial School. Mr and Mrs Peall were still in post in 1911 but Mr S. Griffiths had taken over as superintendent by 1920. The establishment closed in January 1st, 1922. The buildings no longer survive.